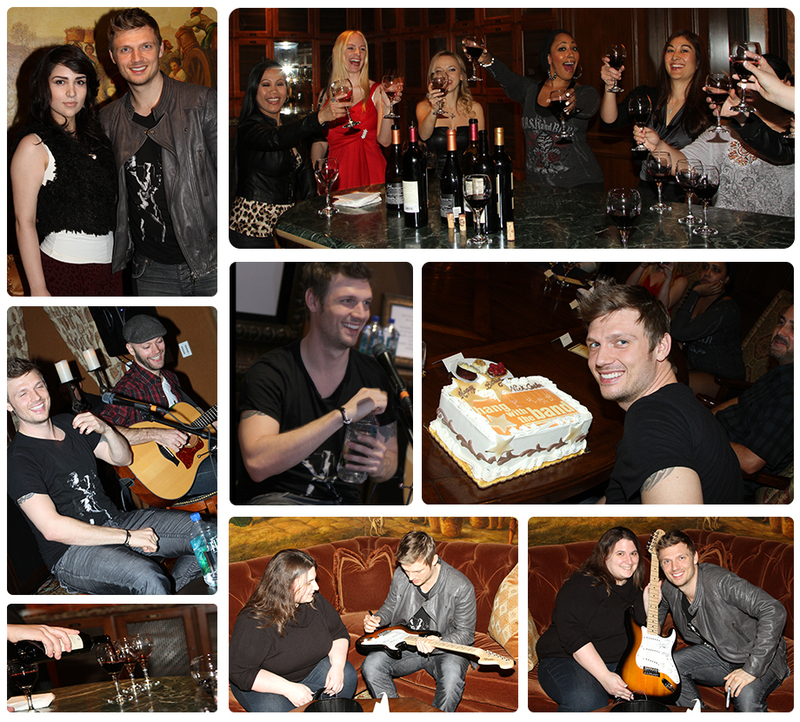 The Nick Carter Vegas Birthday Hangout II was Groundbreaking! It’s not often that you can say the sequel was even better than the original but you could definitely make a strong case for it with The Nick Carter Vegas Birthday Hangout II in Las Vegas! For the first time at any Hang With the Band Hangout, the magic started before the event even began for three lucky fans who got to ride to the gig in a limousine with Nick! Nick was in great spirits and in fine form when he welcomed all of his fans from as far away as Belgium and Venezuela for his second annual Hang With the Band birthday event in Las Vegas. Each guest got to spend quality, one on one time with Nick in a relaxed and comfortable setting. After that Nick wowed the intimate gathering of just 22 with an acoustic set that featured special requests from the audience, his huge hits plus great renditions of Nick’s favorite obscure gems he rarely if ever has played anywhere! One of the highlights came when he stopped to make a heartfelt song dedication to the young Make A Wish Foundation guest in attendance. It was a unique and inspired show that none of the guests will ever forget! If that wasn’t enough, after the show the lucky top 12 bidders got to sit and chat with Nick over a Gourmet meal!